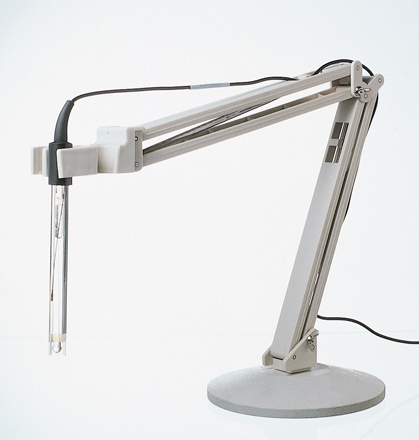 Electrode stand with swivel arm allows convenient hands-free operation. Holds up to four standard size electrodes and one ATC probe. Weighted 6-inch diameter base allows you to pivot holder 360 ° for more flexibility. Arm allows you to move electrode side to side or up and down while keeping electrode at a constant vertical angle.